This hotel in Almaty features a 24-hour restaurant, free parking and spacious rooms with free Wi-Fi. It is a 10-minute drive from Almaty International Airport and Almaty-Burundai Airport. A wide range of cuisine is served in the Royal Palace’s restaurant and sushi bar. Local specialities, Mexican cuisine and European meals can be found on the menu. 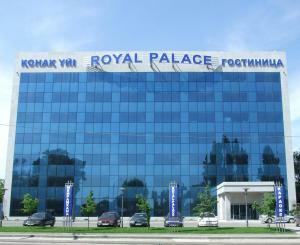 The Royal Palace Hotel also features various karaoke areas and billiards rooms.